Hello there!! Wow... it is the last day of February... time is sure flying by!! 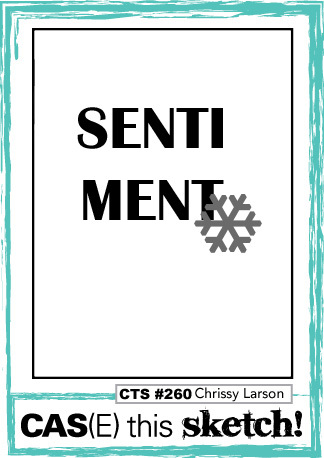 I have a card today that is all about die cuts! 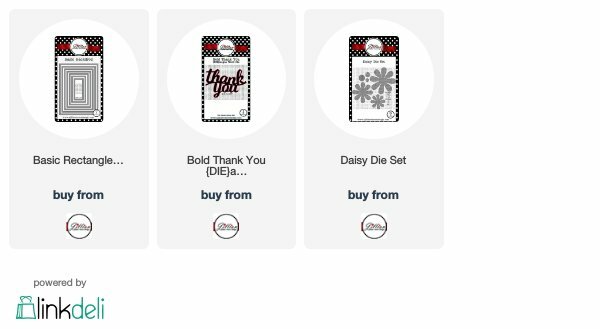 This one uses the Bold Thank You die and a die from the Daisy die set. I recently purchased a bundle of goodies from the Bella Blvd Make Your Mark line and I used two of the papers from the pad to make my card. I pulled out this fun big polka dot paper in the purplish color and then used a bright yellow for the flower so it would stand out against the large background pattern. After die cutting my paper with the largest Rectangle Backdrop die I die cut the Thank You from the paper. The thank you was die cut four more times from scrap paper. I covered my card base with adhesive, adhered the patterned paper panel and then inserted a scrap thank you. I continued adding the thank you using liquid adhesive until I finished up with the one that was originally die cut from the panel. To finish I inserted only the bits and pieces from the piece cut from the patterned paper panel. The smallest daisy from the Daisy die set was cut from the yellow paper and the center from a scrap of light pink paper. I adhered the center to the flower and the attached the flower using a pop dot. I used the current layout from CAS(E) this Sketch for the card so I will be posting it there. Going to add it to the Simon Says Stamp Wednesday challenge of anything goes. So pretty & unexpected with the yellow daisy! Wonderful card, Rosemary! 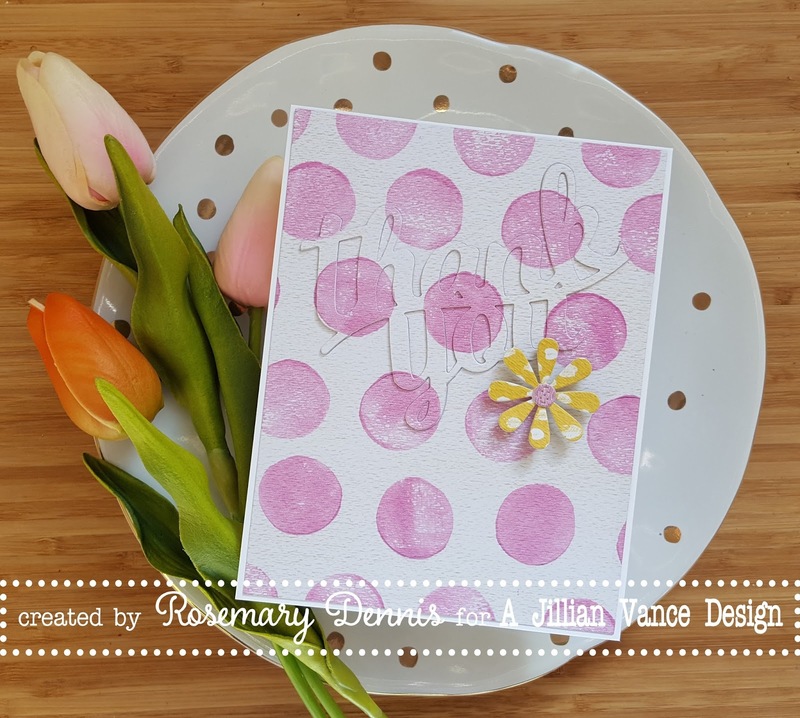 Love your big dots, your "hidden" sentiment, and the springy colors! Thanks for joining us at the Simon Says Stamp Wednesday challenge! Your hidden sentiment, the chunky polka dots and that sweet little polka dot bloom...what's not to absolutely LOVE here!! Such a pretty card! Love the big polka dots and the way you integrated the sentiment into the background! So fun with the jumbo polka dots and sweet yellow daisy!